PlayStation 4 owners can now battle each other to the death in PUBG. PlayerUnknown’s Battlegrounds originally released for PC via Steam, then later launched as a timed exclusive on Xbox One. Shortly thereafter, the game became available on mobile devices (iOS, Android). Unfortunately, PlayStation 4 owners were left in the dark about exactly when the game would finally make its way over to their platform of choice. Now the wait is finally over, as developer Bluehole recently announced that PUBG will be releasing on PlayStation 4 on December 7. As some gamers have pointed out, this is a bit of a weird release choice seeing as how the highly anticipated Super Smash Bros. Ultimate also releases on December 7. Additionally, there’s no word as to whether or not PUBG will support cross-play on PS4. Our guess is the game won’t offer cross-platform support at first, though this may change later on as it did with fellow Battle Royale title, Fortnite. Cross-play aside, one thing PUBG fans will likely appreciate is that all three maps found on other platforms (Miramar, Sanhok, Erangel) will be available on PS4 along with HDR support for PS4 Pro. To secure your copy of PUBG on PS4, you can pre-order the game right now. There are three pre-order tiers to choose from including the base game for $29.99, a “Survivor’s Edition” for $49.99, and a “Champion’s Edition” for $59.99. Special editions including an offering of G-Coin (in-game currency) and other in-game items. 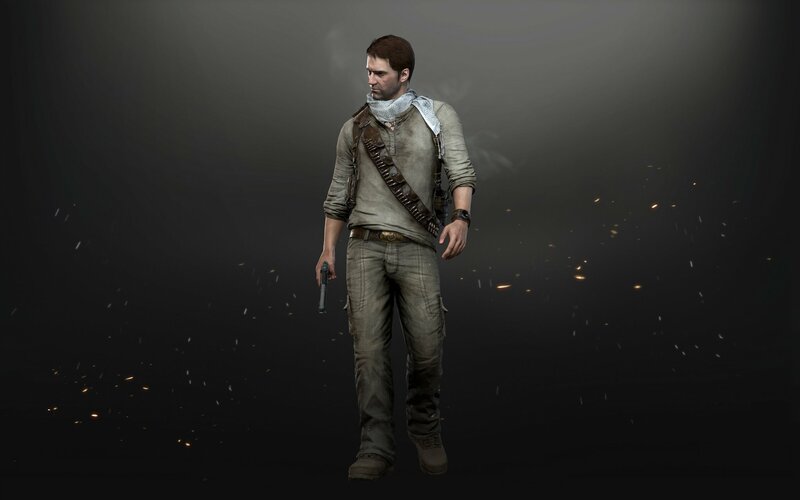 PS4 owners will get exclusive cosmetics in PUBG including a skin based around Uncharted's Nathan Drake. Speaking of items, PUBG on PS4 will offer several exclusive cosmetics you can’t get anywhere else including skins based around Uncharted and The Last of Us, as well as a PS4 avatar and Miramar theme. What do you think of the news that PUBG is releasing for PS4 this December? Do you plan on picking up a copy, or have you been playing the game on other platforms like Xbox, PC, or mobile? Let us know your thoughts down in the comments below!